Modes Parisiennes in the Reign of Louis XVI. Fashion in the Reign of Louis XVI. 1774 to 1780. The Evolution of Modern Feminine Fashion 1786. Caraco a´la francaise in 1786. Le Pouf. 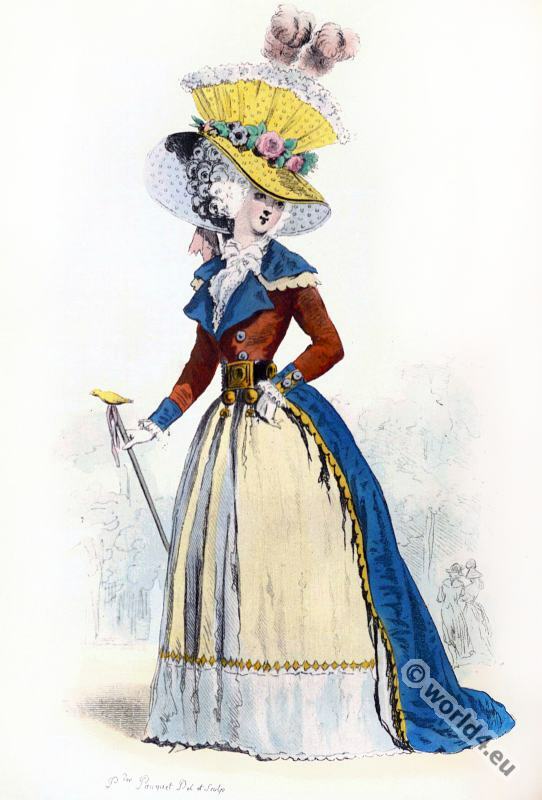 Fashion at the End of the Ancien Régime 1780 to 1789. This entry was posted in 1787, 18th Century, France, Modes Parisiennes, Rococo and tagged Rococo fashion on 2/20/15 by world4.